LOS ANGELES – (RealEstateRama) — The U.S. Environmental Protection Agency (EPA) is inviting 12 projects in California and one project in Arizona to apply for Water Infrastructure Finance and Innovation Act (WIFIA) loans. A total of 39 projects have been invited to apply nationwide. EPA’s WIFIA loans will allow large and small communities across the country to implement projects to address two national water priorities – providing for clean and safe drinking water, including reducing exposure to lead and other contaminants, and addressing aging water infrastructure. Established by the Water Infrastructure Finance and Innovation Act of 2014, the WIFIA program is a federal loan and guarantee program at EPA that aims to accelerate investment in the nation’s water infrastructure by providing long-term, low-cost supplemental credit assistance for regionally and nationally significant projects. EPA’s WIFIA loans will allow large and small communities across the country to implement projects to address two national water priorities – providing for clean and safe drinking water including reducing exposure to lead and other contaminants and addressing aging water infrastructure. To date, EPA has issued four loans totaling over $1 billion in WIFIA credit assistance. Combined, these four projects will create over 5,000 jobs. 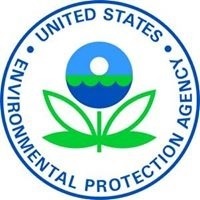 To learn more about the 39 projects that are invited to apply and about EPA’s WIFIA program, visit https://www.epa.gov/wifia/wifia-selected-projects.